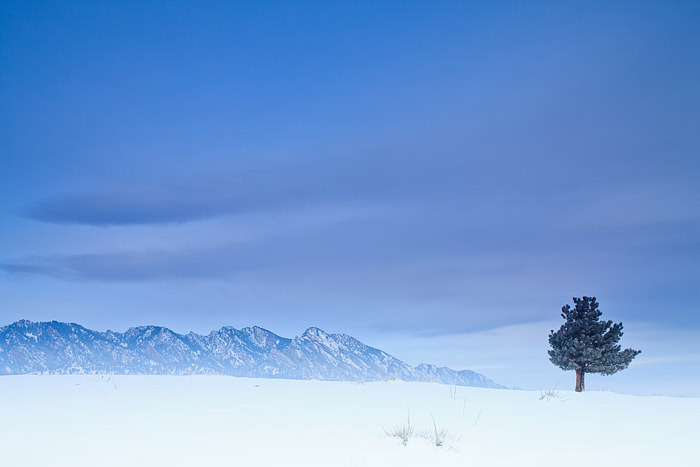 On a very cold morning, Boulder's Flatiron formation is photographed through the dense cold air from Doudy Draw. Hoar frost has formed on a lone snowy Ponderosa pine tree. This lone Ponderosa overlooks Boulder and has one of the best views in all of town. Photo © copyright by Thomas Mangan.